Use the latest tech to automate and monitor your customer interactions. Create professional, customized, or personal emails to engage customers 24/7. Automate amazon campaigns to fire out emails based on event or a specified time. Manage all your feedback and setup instant alerts for bad feedback reviews. Remove negative feedback on amazon quickly with a single click. 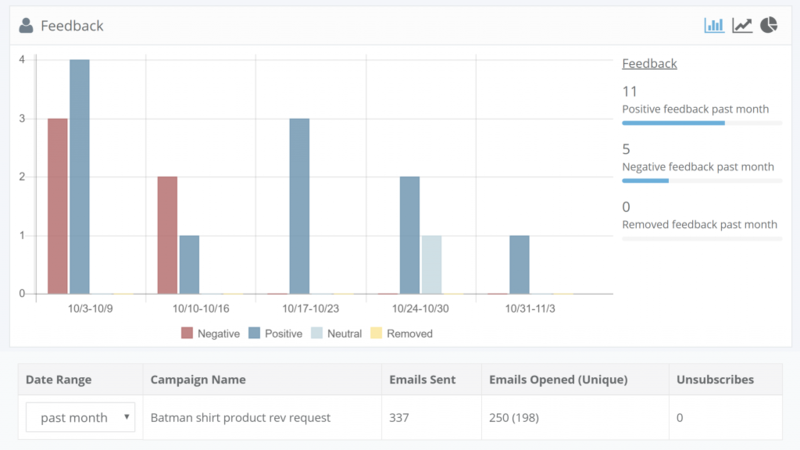 Review advanced data to uncover which campaigns are most effective and what customers truly think about your products. Use this data to then tweak email content and delivery methods to acquire more positive feedback.